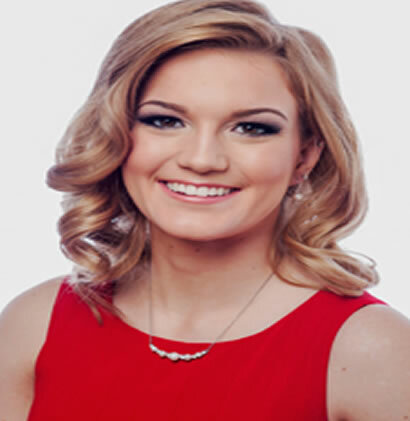 Raymond resident Katie Masso-Glidden, Miss Capital Area 2016-17, is one of 28 women competing for the title of Miss New Hampshire in ceremonies at Pinkerton Academy in Derry April 27-29. Masso-Glidden, a former Miss Raymond 2014 and Miss Deerfield Fair 2015, will speak on Habitat for Humanity as her platform. Her talent is speed painting. She attends Keene State College, where she majors in Safety and Occupational Health Applied Sciences, with a minor in Environmental Studies. She said her interests at school include Habitat for Humanity and the American Society of Safety Engineers. She is a Keene State orientation leader, and works on campus at the information desk. Asked what about her would surprise people, she said she wants to work in construction. She said her father worked in that field before a back injury caused permanent nerve damage, and as a result, she wants to continue in that field and use her knowledge gained in college to make the occupation safer. Her advice to the younger generation is to find a passion in life and work hard to obtain their goals. She defines success as the ability to refuse to give up, and to have goals so strong that obstacles and failure become motivation to try again. “Success is happiness and being able to love yourself,” she states in her Miss New Hampshire biography. The Miss New Hampshire Competition preliminaries are at 7 pm. Thursday, April 27 at Pinkerton’s Stockbridge Theatre in Derry. They continue at 7 p.m. Friday, April 28, with the finals taking place at 6 p.m. Saturday, April 29. The contestants are judged in four phases of competition, to include: Lifestyle and Fitness in Swimsuit, Evening Wear, Talent, Private Interview, and On-Stage questions. The contestants are between the ages of 17 and 24 and have been residents of New Hampshire or full-time students for at least six months. The Miss New Hampshire Scholarship Program, a state chapter of the Miss America Organization, along with the Miss New Hampshire Scholarship Foundation, a 501(c)(3) non-profit foundation, provides thousands of dollars in annual college scholarship assistance. For more information about the Miss New Hampshire Scholarship Program, call 437-9027 or visit MissNH.org.